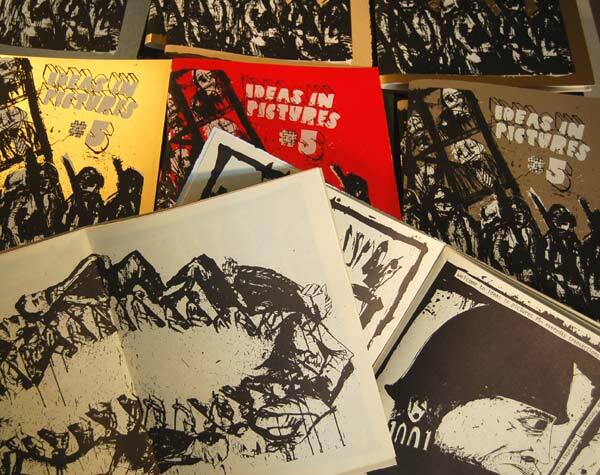 The latest issue of Colin Matthes’ zine Ideas in Pictures is out! This issue focuses on everyday transactions in business, leisure, and warfare. The issue has screenprinted covers and 40 offset printed pages inside, printed by Eberhardt Press.